Have you heard of the term “incubation period”? 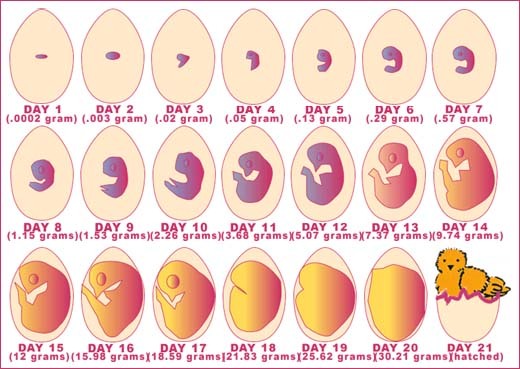 An incubation period refers to the period where an embryo develops within an egg, to the point where the egg hatches. Different types of eggs have different incubation periods. 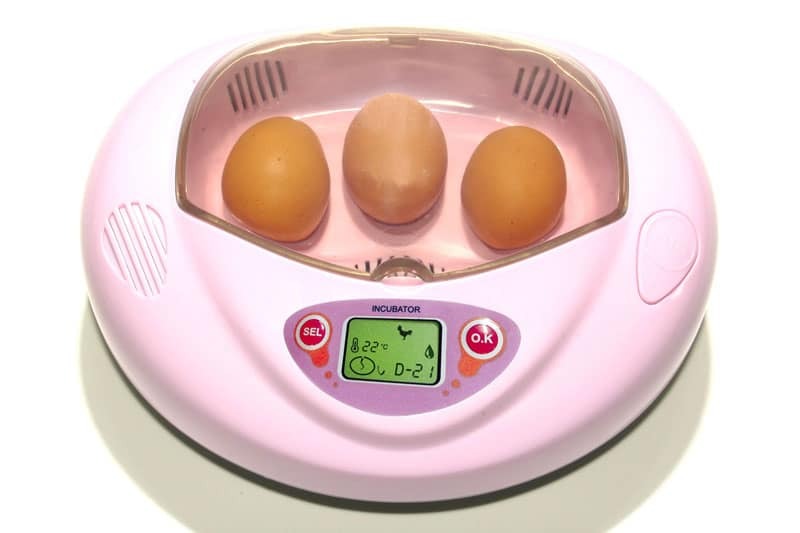 For the chicken egg, a 21-day incubation period is needed, assuming incubation conditions are met (right temperature, right humidity, and timely turning of the egg). Crack an egg before it completes its 21-day incubation, and you unwittingly terminate its life and prevent the chick from ever coming into the world. The germination process for a seed is a 2-day to week-long process which cannot be rushed. The development of a baby in a mother’s womb takes 38 weeks, and the mother will give birth when the child is ready to be born. In pathology, an influenza virus takes about 2 days to incubate before the person develops flu symptoms (meaning a person who gets the flu virus will only show symptoms after 2 days). In baking, it takes 30 minutes for a cake to be ready. Increasing the heat will not speed up this process. Instead, it will burn the cake. An apple takes about 100 to 200 days to ripen. Pick it too early and it will stop ripening. In each case, the incubation process is necessary and cannot be rushed (not that anyone would want to catch the flu). Even if everything looks the same on the surface, there are changes happening underneath. These silent changes are part of parcel of the end result. Likewise for our goals, there are incubation periods too. Just because we take action today doesn’t mean we will see results right away tomorrow. Depending on the goal, we may need to take consistent action for a while before we can see the rewards of our labor. For the past six months I’ve been coaching my client M. Since his early 20s to late 20s, he has built up a debt of $200,000 USD: the result of past study loans, monthly overspending, and poor money management. Since his debt is so big, clearing this debt is by no means an overnight affair. There were many things we had to work through first, from removing over-expenditures, to addressing his negative money beliefs, to creating a clear financial plan, all of which are processes, not overnight changes. So despite M’s best efforts, his debt issue seemed to remain the same. It didn’t help that he would be constantly reminded of his debt. For example, he had to hold back on his traveling goals as he didn’t have the money to do so. He would get regular letters from banks, asking for payment. He would sometimes be late in paying his staff, which he hates as reliability is one of his values. He also held back on dating as he felt insecure about his debts. M felt imprisoned and very low in energy. At times, he thought that he might stay in debt forever! However, I reminded him that since his debt is the result of compounded actions over the years, we shouldn’t expect it to disappear overnight. It was more important to address the root causes of his debt, because the faster we fixed them, the sooner his debt situation would improve. M agreed, and we worked on the roots of his problem, one by one. Firstly, he began to experience energy spurts after each coaching session. During these spurts, M would accomplish many things — the equivalent of what he normally does over 2 weeks. I told M that these spurts represent the abundant energy in him (just that they were blocked due to his worries), and are the start of more to come. True enough, M began to experience these energy spurts out of the blue, even when we haven’t had a call. Then, he began to act on the action steps in our debt resolution plan. These were linked to his business growth. The results were astounding. Because we cleared his mental blocks surrounding money, and because M has defined a clear vision for his business, he was able to laser-focus his energy on growing his business. In a matter of weeks, he began to clinch many new business deals. While his business revenue used to be $4,000 USD a month, it has since increased to $20,000 USD a month — a 5-fold increase! He continues to clinch new deals today, some of which are recurring deals, which means recurring income. M has been clearing a good chunk of his debt for the past few months. At this rate, he’ll be clearing his debt in a year’s time. With so many new deals now, M’s problem has grown into a new one — one where he has insufficient manpower, and has to put new deals on hold until he clears the bottleneck! This is of course a luxury “problem” and is easily fixable (hire new staff, increase staff productivity). It’s a huge welcome from what he was dealing with before! Needless to say, M is extremely pleased. He knows that as long as he continues what he’s doing, he’ll soon be debt-free and financially free! What have you observed from M’s story? Notice that despite working on his debt issue for months, M didn’t see results right away. Instead, he only did so only after a few months. That’s because he had to work on the roots of his problem. Yet, when the results came in, they came in… fast. Here, the time lag between when he started taking action and when he saw results is the incubation period. In addition, he has been building his network and working on his business skills since four years ago. This means that his incubation period for his business success started four years ago! Similarly, when it comes to our goals, there will be times when we take action without seeing results. It doesn’t mean that what we’re doing isn’t working. It may simply mean that our goal is in a development phase, i.e. going through incubation. During this time, actions don’t instantly lead to results. Rather, our actions build up to create a big impact when everything is in place. 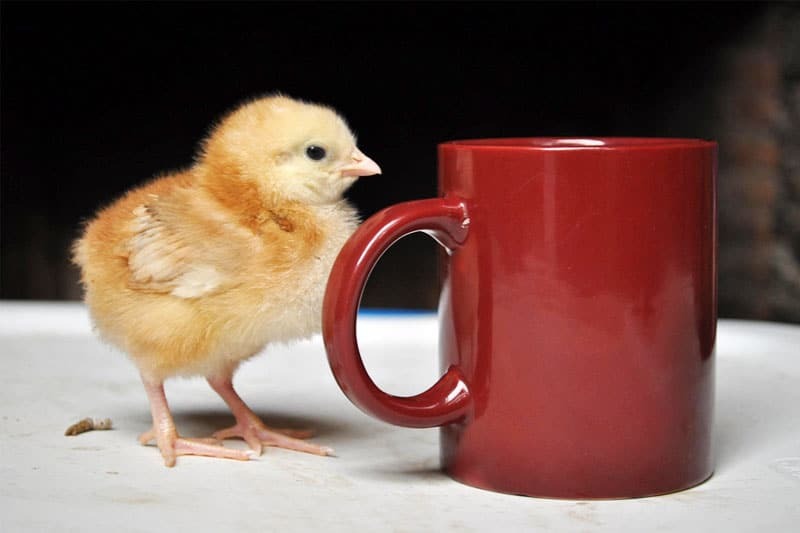 Are You Incubating a Goal? For whatever goal you are pursuing now, there is always a delicate development phase at the start. This is the incubation period, when your goal is slowly taking shape. While it may seem like nothing is happening, there is something happening… just not visible to your eye. With a blogging goal, this period can be a few days to weeks as you create your blogging account, apply a template, set things up, and write your first post. With a goal to build an A-list blog, this period is easily years as you build your expertise in the subject matter, create quality content, drive traffic, and build loyalty among your readers. With a career switch goal, this period can be months to even a year as you do industry research, connect with headhunters, find job vacancies, go for interviews, and wait for the right job offer. Read my talent stack article on how a recent client did a career upgrade and got a 60% pay jump. With a healthy eating goal, this period can be months as well, especially if you’re an emotional eater, as you remove negative eating habits, work on healthy eating, and create a positive environment that supports healthy eating. With a goal to quit smoking, this period can be weeks and months as you work through your addiction issues, identify your relapse patterns, and work on those roots. With a goal to turn your passion into your career, this period can be months, typically years, as you spend 10,000 hours to develop your talent, create your plan, take action, and refine your plan along the way. What goals are you incubating at the moment? Generally, the bigger your goal, the longer your incubation period, since you’d need more time to build the foundations for a larger goal. So what happens if you’re currently incubating? Do you get pissed off at the lack of results? Do you run amok like a headless chicken out of frustration? No, of course not!!!! All these are pointless as they will only frustrate you further and distract you from your main goal. Set milestones to evaluate your progress. Milestones are like little signposts to guide you to your final goal. Milestones let you know if you’re heading in the right direction. Examples of baby milestones for a blogging goal can be, (1) Achieve 10 visitors/day, (2) Achieve 50 visitors/day, (3) Achieve 100 visitors/day. The equivalent for a healthy eating goal can be, (1) Eat at least one healthy meal a day, (2) Eat at least one fruit/vegetable each day. With these milestones set, focus on achieving them (as opposed to your distant end goal). If you are hitting them, that means you’re on the right track, even if you haven’t reached your end goal yet! Set more milestones and keep moving forward. You’re on the right path! Surround yourself with success models. Who has succeeded in this goal? Keep them close to you and under your radar, such as in your social media feed, your newsletter subscriptions, your contact list, your meetup groups, etc. This way, you get the maximum positive reinforcement for your goal. The incubation period is a delicate period, so don’t allow anything negative to come close to you during this time (or ever, really). Look out for success Easter eggs. Many goals give clues of its progress, even if you can’t see any major change yet. When you bake a cake, you can see the mixture “rise” through the oven door. The pleasant whiff of the cake can be smelled before the baking is completed too. With egg incubation, candling (using bright light to see the details inside a shell) helps you tell if any embryo has developed. So say you’re starting a coaching business. A possible sign is friends telling you that your advice has helped them, even when you weren’t formally coaching them. Another possible sign can be your friends recommending others to sign up for your service, even though you didn’t ask them to! Work hard. The incubation period doesn’t end with the natural passing of time. Rather, you have to do due work before you’ll see success. Stay true to your plan and work hard. Read my time management tips to get things done. Be patient. As the saying goes, “Good things come to those who wait.” Put in your best effort, but be patient as well. As long as you put in the due work, the results will come soon enough.